Anytime you put a range of different people in a confined space for eight hours a day, it’s going to get dirty. Some offices may only have a handful of people, while others have 20, 50 or even 100. 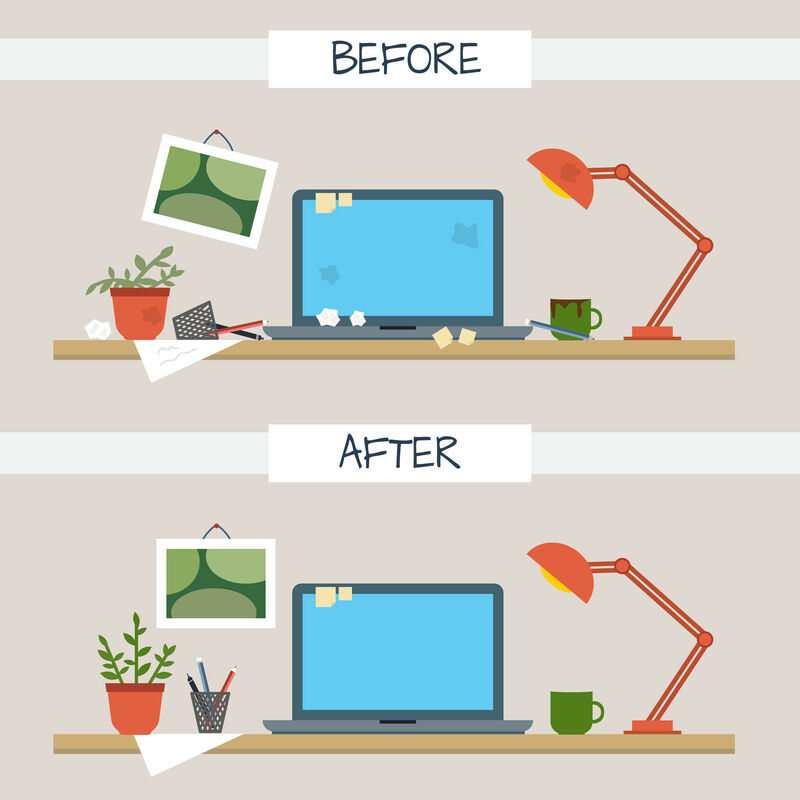 And while cleaning away visible dirt each day will make it look neat and tidy, some of the dirtiest spots in an office can’t be seen by the naked eye and might surprise you. If there is a coffee pot or two in the break room, you can bet a multitude of different hands grasp the handle on a daily basis. As a test, a microbiologist from the University of Arizona put viruses on door handles in an office to see where they popped up next, and the office coffee pot handles were among the first places. Modern offices still use photocopiers, and the start button is the one that most frequently comes into contact with human fingers. A study performed by Hloom found that the start button on the copier machine had more than 1.2 billion colony forming units (CFU) of bacteria, where a school toilet seat averages around 3,200 CFU. The communal kitchen is a big part of many offices, and while it is wonderful for small talk, de-stressing and getting away from the computer, it is also one of the dirtiest spots in the office. When you combine, food, water and multiple people touching everything, there is going to be issues with cleanliness. The sink faucet handles in the office kitchen are a problem area, as are the drains in the office sink. The fact that many offices use a community cloth or sponge to wipe down surfaces in the office kitchen makes the problem even worse. The entire area around the sink in a typical office kitchen doesn’t equate to sanitary conditions for employees. If the office mugs are used by more than one person, the handles will be introduced to new bacteria on a regular basis, but that number skyrockets if they are cleaned out using the communal cloth or sponge. Most people think nothing of wiping out a coffee mug before they use it and may even believe that they are doing a good thing, but you’re inadvertently making that mug one of the dirtiest spots in the office. In most offices, every employee that brings a lunch and snacks for the day will put them in the refrigerator, if there is one available. And to do that, they will need to grasp onto the refrigerator door handle and pull it open. So, new bacteria is being introduced to the door handle over and over again every single day. Not many people would consider a pen as a breeding ground for bacteria. And while they aren’t fixed in place, they are still one of the dirtiest spots in an office that might surprise you. Especially when you consider that some people put them in their mouths, in their ears and use them as a general scratching tool. If you are surprised and a little disgusted by the realization that many of the common spots in an office are also the dirtiest, all is not lost. You can take some steps to help ensure these dirty areas are much cleaner, even when there is heavier traffic. Make a habit of using hand sanitizer and having it on your desk for others to use. You can also put some in the washrooms and office kitchen. Use paper towels instead of wash cloths and sponges, and invest in a dishwasher, if possible. It’s also important to wash your hands to keep bacteria away so you don’t keep adding to the problem. If you’d like to learn more about keeping your office clean or have a proven team of cleaners come in to get all those trouble spots, contact us at JanPro today for a free estimate.